BabeSafe mattress covers have grown in popularity during the past decades of their use. While some parents simply want to provide a "clean" sleep surface for their new babies, many other parents realize babies sleeping on mattresses wrapped in BabeSafe mattress covers are protected from crib death, also known as SIDS. 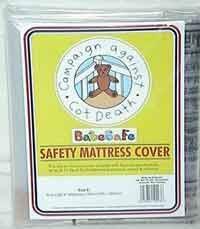 The history and success of the BabeSafe cover helps prove the validity of the toxic gas theory for crib death. You can read more about this theory at Prevent SIDS. You can also learn more by reading Dr. Sprott's book, The Cot Death Cover-up? The BabeSafe mattress cover is made like a large plastic pillow case that slips over your current crib mattress. The cover protects your baby from exposure to gases generated from the elements phosphorus, arsenic and antimony. Compounds of these elements are frequently present in mattresses. 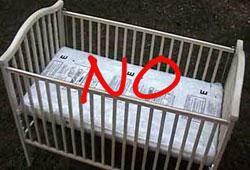 You do not need to purchase a new crib or bassinet mattress to use the BabeSafe cover. As a matter of fact, it's important to note that as soon as a mattress is used the first time, it is no longer new. (We make sure to launder our clothes every week, but we sleep on the same dirty mattress every night?!) The BabeSafe mattress cover slips over your mattress, and then you seal the open end with the tape that is attached. It's that simple! More details will come with your mattress cover, but you can always contact us if you have any questions. Why a BabeSafe Mattress Cover? BabeSafe covers are manufactured in New Zealand to the specifications of Dr T J Sprott OBE MSc PhD. The covers are made of high grade 125 micron internally plasticised polyethylene (polythene). This is a chemically inert plastic which is not capable of any "outgassing." It does not contain phthalates or BPA. Your baby is always sleeping on a "clean" mattress with the BabeSafe mattress cover! To determine the correct size BabeSafe mattress cover, it is very important that you measure the girth. This measurement will determine the BabeSafe cover that best fits your mattress. The length (and girth) can be adjusted as necessary. If you need a size that doesn't appear here, or you aren't sure which one would work the best for your situation, please contact us and we will help you! Covers are easily adjustable, so you would need the cover that's just bigger than your mattress in both length and girth. See options below. BabeSafe covers are shipped to you from New Zealand and will take 1-2 weeks to arrive. NOW WHEN YOU ORDER A BABESAFE MATTRESS COVER, YOU WILL RECEIVE A FREE NO-CHEM TUMMY TIME MAT!! Here is what a mattress looks like once the BabeSafe Mattress Cover has been put on. It looks like any other mattress, but it will not be made like a typical mattress. This is what your mattress will look like before you add the underblanket and sheet. This picture shows a bath towel being used as an underblanket. It is the perfect size. 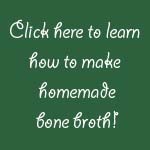 You can also use flannel blankets, 100% cotton prefold diapers sewn together, or anything else that is ALL cotton. Do not use quilted fabrics of any kind, and do not use waterproof mattress pads (these are made from the same chemicals found toxic in mattresses). If you buy a "100% cotton mattress pad" and it has a waterproof layer, it is NOT 100% cotton. Do not use these under any circumstance. Over the underblanket, place your fitted sheet, preferably one that has stretch since they usually fit tighter. That helps to keep the towel in place. DO NOT USE YOUR MATTRESS WITH THE WRITING FACING UP!!! The BabeSafe mattress cover IS waterproof. Wipe with a damp cloth to clean the mattress if necessary. Use no cleaning agent- just water. Wash baby's bedding as it is soiled, or at least once weekly. For standard maintenance of dust mite prevention, wash in hot water. Wash baby's bedding daily if he is sick or has a runny nose. Use phosphorus free laundry soap or detergent. Do NOT use bleach to launder baby's clothes or bedding. Do NOT use fabric softener on baby's laundry. The BabeSafe mattress cover is such a simple product, and it's hard to imagine that no one thought about it earlier. Now that we are more educated about plastics, we realize that the vinyl covered baby mattresses weren't such a good idea. While we could just wipe the mattress clean, we didn't consider the harm that vinyl might do to a baby. Now we also have fire retardants and other chemicals added to mattresses, and we can't do anything to keep a mattress clean. The BabeSafe mattress cover is not only made from a safe plastic, it will protect your baby's mattress from spills and stains, or from simply being a gross place where drool, urine, spit up, or sweat has accumulated over months or years. 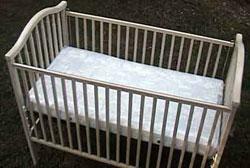 When we become new parents, we make sure to get the latest bedding, stroller, car seat, bouncer, exersaucer, swing, etc. but we pay little attention to the place where a baby spends most of his first year! I know I was that way in the beginning, and most Americans are as well. 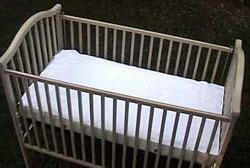 I urge you to provide a clean and safe place for your baby to sleep... a BabeSafe covered mattress!